Texas business and residential electricity customers have the power to choose from among many reputable retail electricity providers offering a variety electricity plans. Frontier Utilities offers its customers a large variety of energy rates, electricity plans and payment options as well as insightful tools to help its customers manage their electricity usage. In recognition for their commitment to excellence, Frontier Utilities was awarded the Better Business Bureau Award of Distinction in the Energy Services category in 2014, 2015, and 2017. 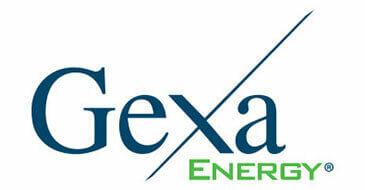 Gexa Energy is one of the fastest growing retail electricity providers in the U.S. They have served residential and commercial customers in Texas since 2002. Gexa offers a variety of plan types including their innovative BOGO (Buy One Get One) Plan, with 50% off your energy charges each month. They strive for customer satisfaction and offer a Happiness Guarantee. As one of Texas’ largest electricity providers, more than 1.5 million Texas residential and commercial electricity customers have turned to Reliant Energy electricity. As a part of NRG Energy Inc. (NYSE: NRG), a Fortune 200 company, they are dedicated to providing high-value, innovative energy products that match changing customer needs to power homes and businesses throughout the state. Reliant electricity plans offer a variety of choices.